Deviating a bit from my normal routine this morning, I am writing you from the Crimson Cup coffee shop while enjoying my cranberry and orange muffin, and hot mocha. I’ve got about fifty minutes before I have to leave for a customer visit, so I thought I’d write to all of you (though with the spotty internet here I may have to post this later in the afternoon). 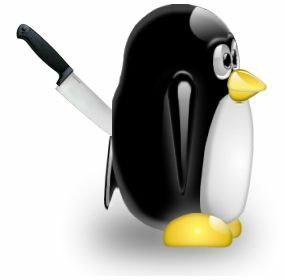 I think it’s time I come out and say it; Linux is a frustrating operating system. Okay, for the techies out there let’s be specific: Zorin 6 built on top of Ubuntu 12.04 LTS is frustrating, though trust me, it’s not alone. Last week a game on my Steam wishlist was on sale. Specifically, The Walking Dead Season 2 and the 400 Days DLC (the DLC would be effectively free since I could pay for it with Steam wallet funds gained from selling trading cards). Unfortunately I forgot about the sale until the next morning, giving me until 10am PDT (or about 1pm my time) to get the game. I was at work which understandably restricts game purchases but I had the solution in hand, take my trusty old netbook out for an internet spin. When I get to Starbucks the equivalent of my Start Menu and Taskbar are gone. Apparently an update I’d run the other day killed the Avant Window Manager (which as it turns out was kind of out of date and unsupported, unbeknownst to me since it came packaged with Zorin). True, Zorin is now up to version 9, but 6 is in LTS support until 2017, so I should have been all right. I had to launch Opera with a terminal (command prompt), only to find out I couldn’t get to my network settings to actually connect and authenticate with the wireless. Long story short I was able to boot my computer up in another OS, authenticate with two-step verification with Steam, which involved two-step verification with the Gmail, and buy the game. So, after some forum searching it turns out there is a more up-to-date version of Avant Window Manager, and I can download the source code from GitHub. As a sidebar the Avant developer in the forum seemed really kind of rude, especially to Linux n00bs just trying to learn their system (directed at others not myself since I only tend to create new threads if my specific problem hasn’t actually been solved). Like with a lot of Linux programs you must first configure the source code, make the source code, and then install it. You don’t have a nice EXE guiding you through the installation process and doing everything in the background. To compile Avant, I needed a development version of Python, different apparently from the Python I’d installed to run scripts (and that’s a whole other story involving installing SSL libraries and in some cases gcc and make). Three steps later and I am ready to compile. Oh wait, unknown error, missing library, invalid C++ compiler. I’ll install Zorin 9 lite, since it’ll probably work better on my older hardware anyway. This involves using pen drive linux to write another OS disk image to a flash drive, booting my computer up from the flash drive, and installing the new OS (after two hours of backup of course). My point, an update forced me to reinstall my operating system. No matter what your complaints about Windows, when’s the last time you had to do that? And maybe a Mac is better. In fact if one of you cheeky Apple lovers wants to gift me $1399.99 or a new MacBook Air, go right ahead. Ready to put your money where your mouth is? Computers are inherently frustrating, so you don’t need to heap additional layers of frustration on top of the baseline. No average user could have gotten even half as far on my specific problem as I did (and frankly my only solution was a reinstall so I’m not even particularly elite). Though it kind of hurts me to say it: Windows Works. ~For those of you concerned, no actual penguins were harmed in the making of this post, just that stupid Tux. And that GNU bull or moose or whatever, I’m coming for you next! Interesting sorry that happened to you.